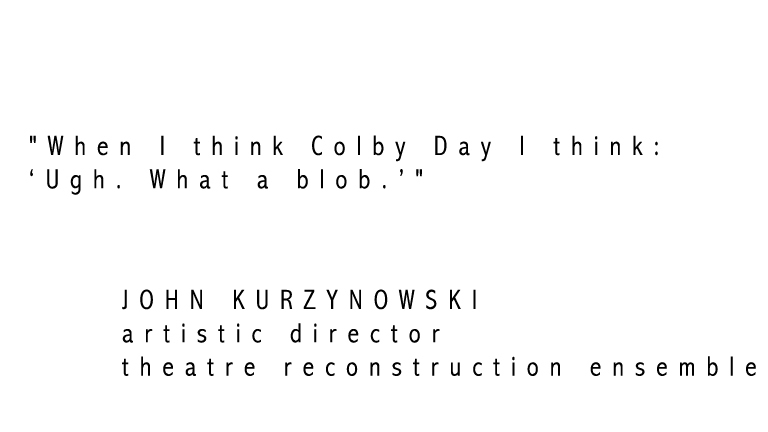 Colby Day is a filmmaker and playwright whose works include Giant Killer Slugs! and In the Blink of an Eye, which was featured on The Black List 2016 and is being produced by Grey Matter. He recently adapted the science fiction novel Children of Time for Lionsgate, and is currently writing a pilot for Hulu about reincarnation & past life regression. Colby tells stories about people, robots, and monsters dealing with feelings bigger and older than we can ever understand. Often his stories will break your heart, but they will without fail also offer to help you pick up the pieces and glue them back together again. He is interested in whatever weird ideas you’d like to throw at him. The stranger, more magical, and far out the better.